The Christian season of Advent abounds with traditions that have been upheld, invented, and reimagined over the centuries. In the West, one such tradition is attending Handel’s oratorio, Messiah (1741), with its famed “Hallelujah” chorus. Every December, major orchestras and choirs across the United States and Europe stage performances of Messiah. It is a work so strongly tied to Christmas that many are unaware that it was originally intended for performance during the Easter season. George Frideric Handel (1685-1759) composed Messiah in twenty-four days for the Charitable Musical Society of Dublin. Its premiere performance on 13 April 1742 supported three charities: the Society for Relieving Prisoners, the Charitable Infirmary, and Mercer’s Hospital. Messiah was not intended for church performance nor was it meant to be a typical theater diversion. English oratorio performances in this era often aligned with community charity efforts; these un-staged musical settings of religious stories provided an edifying alternative to opera for entertainment during the Lenten season. Annual benefit performances of Messiah for London’s Foundling Hospital from 1750-1777 helped establish its central place in British repertoire. During the Victorian Era, performances of Messiah at provincial music festivals served as Lenten pilgrimage destinations. Attendance was a mark of respectability, particularly for the rising middle classes. Performances sometimes featured thousands of participants; amateur choral societies flourished in correlation with this tradition. To the present day, orchestrated Messiah “sing-alongs” draw large crowds of non-professional singers, particularly in American and British communities. Do-It-Yourself Messiah performances have been a Christmas tradition in Chicago since 1976. Messiah has never needed a revival; it has been performed continually since its premiere in various arrangements and contexts all over the world, but has found an enduring place in Christmas repertoire. Only the first part of Messiah deals specifically with the prophecy of Christ’s birth and its annunciation to the shepherds. The nativity story is presented mostly through Old Testament prophecies, with some New Testament narrative. Librettist Charles Jennens compiled the text for Messiah from biblical verses and organized the work into three parts: the prophecy of the birth of a messiah and the Incarnation, the Passion and the Resurrection, and Christ’s glorification in Heaven. The iconic “Hallelujah” chorus does not celebrate the birth of Christ as so many believe, but instead occurs at the end of the second part, as a celebration of the Resurrection and ascension. This chorus has always been an audience favorite. It is still customary for audiences to stand during the “Hallelujah” chorus, a tradition that began before 1780 and is popularly attributed to King George II who reputedly stood during the chorus at an early London performance. Some Christmas performances abridge the work to feature only Part I and the “Hallelujah” chorus, but many ensembles commit to the nearly three-hour performance. Several full Easter-season performances occurred earlier this year: the Mormon Tabernacle Choir presented an unabridged version for Good Friday and the English Chamber Choir with the Belmont Ensemble of London performed a candlelight concert at the St. Martin's Handel Festival, which was reprised in its entirety at Christmas. Messiah remains a nostalgic Christmas favorite, but the oratorio isn’t free from controversy. Michael Marissen’s 2007 article in the New York Times explored anti-Judaic messages in the Messiah libretto; the shocked response from readers led him to publish a full monograph on the topic this year. This research wasn’t intended to undermine personal affections for Messiah, but further confirms the wide range of meanings present in the oratorio. The history of this famed oratorio sends an important message about our cultural icons. Once an object has been thoroughly integrated into a tradition, we often neglect to consider its other contexts. Messiah’s malleability as a cultural and religious symbol has ensured the persistent popularity of Handel’s music for over 270 years. Messiah has earned a beloved place in many Christmas traditions; new performance rituals and fresh interpretations will continue to augment the messages and meanings of this monumental work. Atlanta Symphony Orchestra. “Handel’s Messiah.” Accessed December 1, 2014. Burrows, Donald. Handel. Second edition. Oxford: Oxford University Press, 2012. Dean, Winton. Handel’s Dramatic Oratorios and Masques. Oxford: Oxford University Press, 1959.
International Music Foundation. “Do-It-Yourself Messiah.” Accessed December 21, 2014. http://www.imfchicago.org/diy/main. Finane, Ben. Handel’s Messiah and his English Oratorios. New York: Continuum, 2009. Handel and Haydn Society. “Handel Messiah.” Accessed December 1, 2014. http://handelandhaydn.org/concerts/handel-messiah/. Marissen, Michael. Tainted Glory in Handel’s Messiah: The Unsettling History of the World’s Most Beloved Choral Work. New Haven: Yale University Press, 2014. Marissen, Michael. “Unsettling History of That Joyous ‘Hallelujah,’” New York Times, April 24, 2007. Accessed December 1, 2014. http://www.nytimes.com/2007/04/24/arts/24iht-web-0425handelB.5418126.html. Smither, Howard E. A History of the Oratorio Volume 2: The Oratorio in the Baroque Era: Protestant Germany and England. Chapel Hill: The University of North Carolina Press, 1977. Smither, Howard E. A History of the Oratorio Volume 3: The Oratorio in the Classical Era. Chapel Hill: The University of North Carolina Press, 1987. 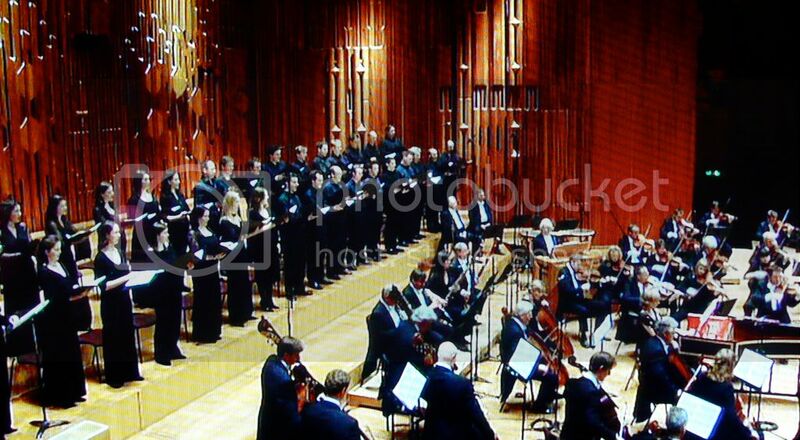 Image: Performance of Handel's Messiah at the Barbican (London, UK), Herry Lawford / flickr creative commons. To comment, email Managing Editor, Myriam Renaud, at DivSightings@gmail.com. Author, Emily C. Hoyler, is a PhD candidate in musicology at Northwestern University specializing in nineteenth- and twentieth-century British music, early music technology, gender studies, and British literature and journalism. Her dissertation investigates the BBC's promotion of national composers and musical works in the interwar years and argues that BBC critics catalyzed an essential phase in the "English Musical Renaissance."